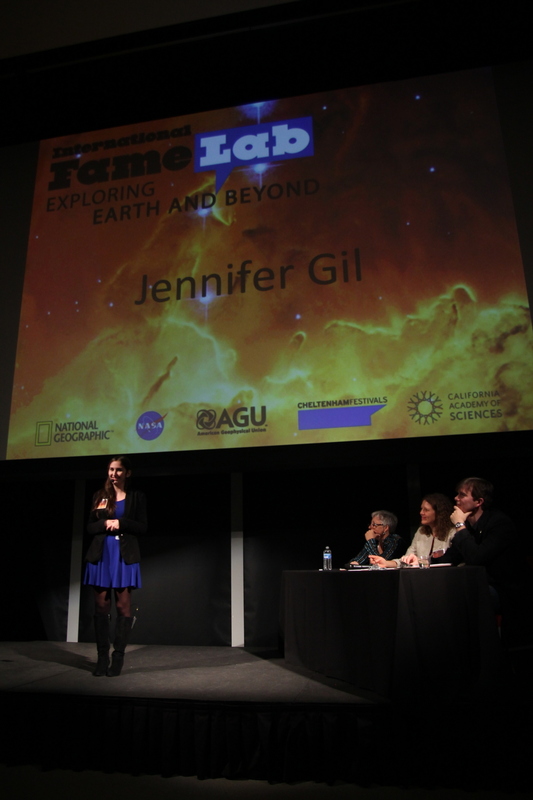 FameLab is an international competition in science communication, aimed at early-career scientists. 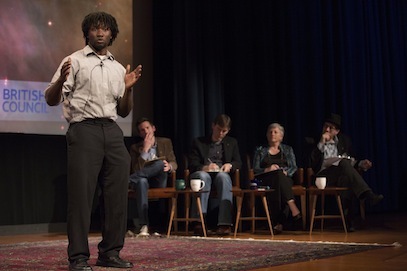 Through its Astrobiology Program, NASA conducts the U.S.-based competition called “FameLab: Exploring Earth and Beyond,” under the auspices of the FameLab founding organization, the Cheltenham Festivals. The U.S. winner of FameLab competes with the winners from nearly 30 other countries at the international final in Cheltenham, England. “On the surface FameLab looks like it is just a bit of fun, but there is a very, very serious underlying purpose here – you just have to look around us to see how science is playing a really fundamental role in understanding our world and where it is going, so we need a new generation of people to explain science if the democratic process is going to work effectively.” – Roger Highfield, former editor of New Scientist. Cultivating a new breed of scientists—who view successful communication of their work as a vital part of their careers, and vital to society—is the essential goal of FameLab. At the heart of each U.S. regional heat and final competition is a science communication workshop led by professionals in the field. These workshops teach skills in communicating science to a number of different audiences, such as university or workplace administrators, public officials, scientists who may work in other fields, the press, and the public. Content: The content of the presentations must be scientifically accurate. Clarity: The audience and judges must be able to follow the presentation and be left with an understanding of the scientific concept discussed. Charisma: The presenter must have that hard-to-describe but unmistakable quality of charisma. They must strive to make the science easy to listen to, entertaining, and exciting. The FameLab evaluation factors are of great relevance to Teen Science Café organizers and speakers. Without attention to these, a Teen Science Café speaker may find themselves looking into a sea of confused, glazed-over faces. Even worse, the teen audience may be so turned off that they decide that science is indeed boring, and of little interest to them! Clarity and charisma in particular are what make a presentation great for teens. Don’t assume that a slightly modified version of a presentation given at a scientific conference will work for a teen audience. It’s likely that a new approach to presenting the material is warranted, stripping away jargon and reevaluating assumptions about what the audience knows. Wouldn’t it awesome to have one of these finalists present in your teen Café? Wendy Dolci, formerly Associate Director of Operations for the NASA Astrobiology Institute, is an evaluator of the Fame Lab project, and a member of the Teen Science Cafe Network Advisory Committee.